(CNN) Bangladeshi commandos have stormed a passenger plane and shot dead a man who allegedly tried to hijack it, authorities said. 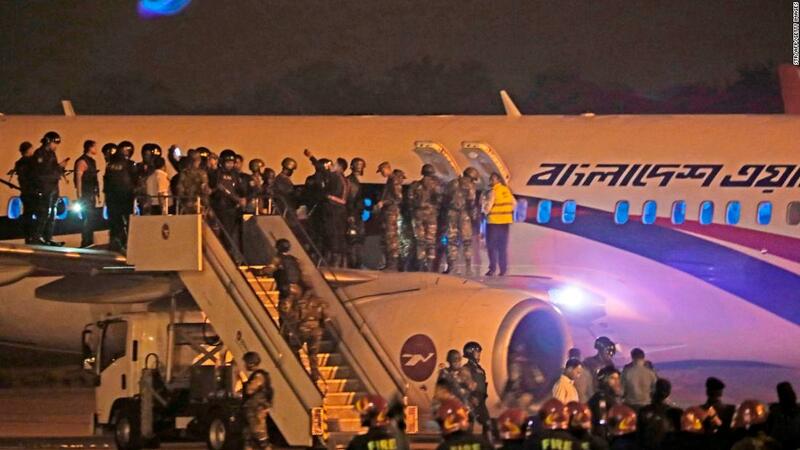 Security forces stormed the plane after it made an emergency landing at the Shah Amanat International Airport in the southeastern city of Chittagong. The suspected hijacker was shot and killed in the operation, Ahmed said. All 173 passengers and crew were evacuated and no injuries were reported. “The situation is under control,” Ahmed told CNN. Authorities have not given a motive for the suspected hijacking. Local media reported that the suspect was armed and had demanded to speak with Bangladesh Prime Minister Sheikh Hasina.